My little girl just turned 7 last week. This year, we decided to take her to Disney World for her birthday. It wasn’t ideal for me to visit Disney at 6 months pregnant but with the second one is on the way, I knew I had to do it. Unfortunately, I don’t have a lots of personal photos to share (and I will tell you why later). 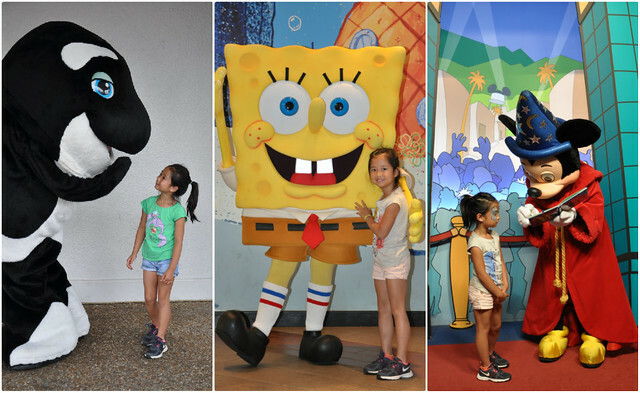 However, I do want to share my experiences at Disney and a few tips on how to make the most of your Disney vacation when traveling with young kids. We took a week vacation but spent the first 3 days in Orlando, FL (1st day visiting Sea World, 2nd day visiting Magic Kingdom and 3rd day visiting Hollywood Studios). 1. Tickets: Park tickets are not cheap. For 3 days, we spent almost $1000 on park tickets alone for the three of us. The best deal is online of course (rather than the gate) but the Walt Disney website still gives the best total online price (after taxes). There are a lot of other sites that show prices without taxes and fees which is misleading. There are a lot of discounts, codes, etc. on Disney packages (hotels, cars, etc.) but for base admission tickets, Disney does have that tightened up. Sites below are full of info, tips and ideas if you’re interested to learn more. We didn’t go with any third-party sites. We purchased our tickets at the gate and I wouldn't recommend buying the tickets off eBay. • First thing to know is you will have more stuff to do than you can handle even if you arrive at open and leave when they kick you out of the park for the night. I am not much of a planner but I did spend time and plan our entire trip BEFORE hand. I am proud to say that we hit all the popular rides within a few hours and still had time to do most of the less popular rides towards the end of each day. 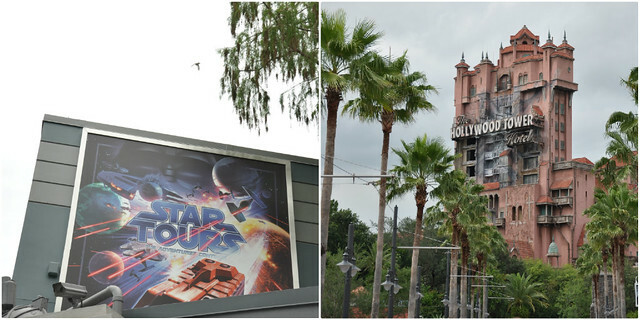 Disney’s attraction ticket wait time system will save you a lot of time in the park. You can learn more about it here. • We so wanted to make a reservation for the "Breakfast with princesses" for the little one but everything was pretty much booked 3 months in advance. It turned out to be a good thing because it takes up too much time. We had breakfast with characters at the Nickelodeon Hotel as an alternative solution but it wasn’t nearly as good. 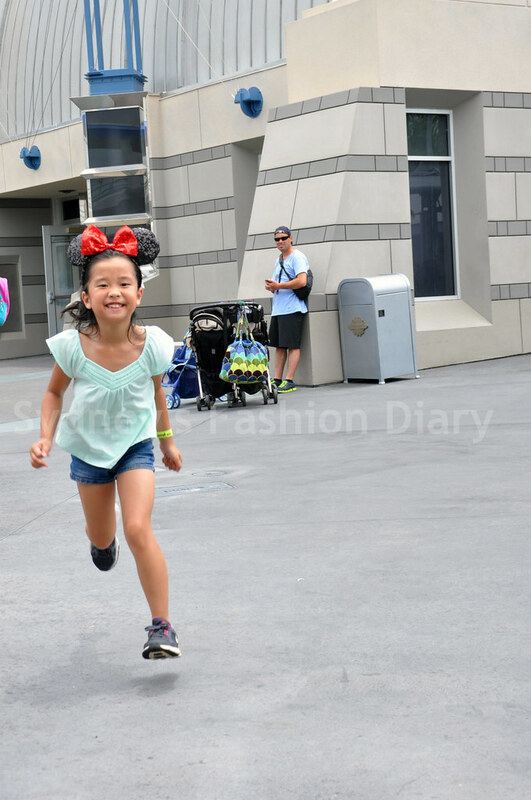 However, if your kids are bent on getting every princess's autograph, that could be a lot quicker way of doing it rather than waiting in line for each princess. We did wait an hour in line for a picture with Mickey. 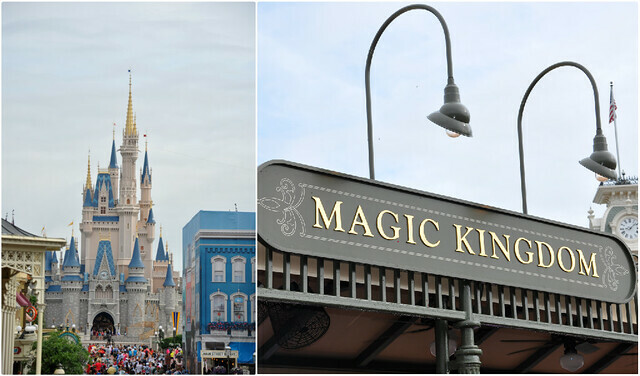 • Whether to hit the Magic Kingdom on Thursday or Friday is a hard call. Friday will be a lot busier than Thursday. We went to Magic King on Thursday and it wasn’t too bad. 3. Food: Everything at the park is expensive. If you plan on having lunch inside the park, be prepared to pay $20.00 per person for a fast-food meal. The more cold water bottles you can carry the better (frozen bottles work well in that Florida heat) but know that your bags go to your feet when on a ride so you may not want them to be too big (camping size). This North Face backpack was our trip saver. We stuffed it with frozen water bottles, snacks, wallets, phones and everything else that we thought we might need. 4. 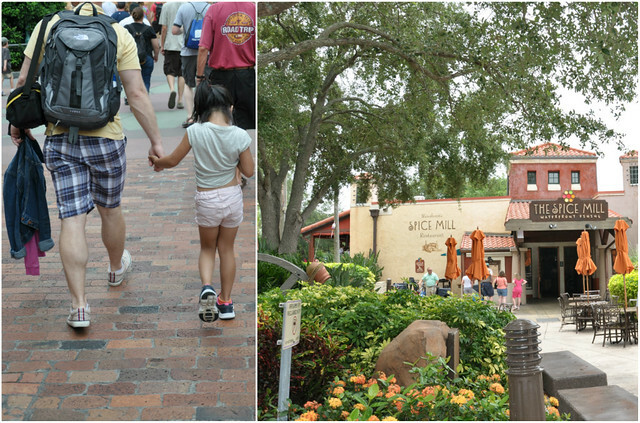 Transportation: Most hotels in the area offer free shuttle service to all Disney parks. With that in mind, we didn’t get a rental car and that was a mistake. For the 1st part of our trip, we stayed at the Nickelodeon Hotel. They do offer free shuttle from/to Disney. However, these shuttles run so infrequently. For example, for the return back to the hotel, there was one at 5:30pm and the next one was at 9:30pm. We weren’t ready to leave at 5:30pm but wasn’t planning on staying until 9:30pm, either. We ended up getting the cab home every night which cost us about $25 per night. Since we didn't have a rental car, we had no choice but to have lunch at the park. I highly recommend that you get a rental car to get around. 5. Weather: Check the weather before you go. For us, we knew it was going to be a rainy week but there was nothing that we can do except hoping for the best. It turned out awful. We went from soaking wet to damp and back to soaking wet for 3 days straight. That’s why I didn't have a lots of photos to share because we couldn't even take the camera out of the bag. Since the weather was so bad, Sea World closed 2 hours earlier, there were no characters out at Magic Kingdom for photograph and the fireworks were cancelled as well. Despite of the bad weather, we had an amazing time at Disney. At the end of day 3, I gave myself a pat on the shoulder for surviving the 90 degree weather, probably walking for the total of 15 miles, getting through most of everything at 6 months pregnant. It’s truly the happiest place on earth and of course, there's nothing like the Disney experience. I’ll leave you with my favorite photo of our trip – THIS. SMILE makes it all worth it! Great tips and pictures of C! Hubby and I were pondering when would be the best time to take the kids to Disney. I remember it being expensive when I visited as a child and it sounds like the prices have increased quite a bit since then. Thanks for sharing your pictures and advice with us! Your girl is adorable! Too bad about the weather! Thank you for the tips. We plan to take our kids there in a few years, when they are old enough to appreciate Disney. I will make a huge mental note that it's expensive as h*ll. I love the last pic of your daughter, everything aptured in motion! Such pretty lil gal! Sorry about the rainy weather, nevertheless the pic looks fun to look at! 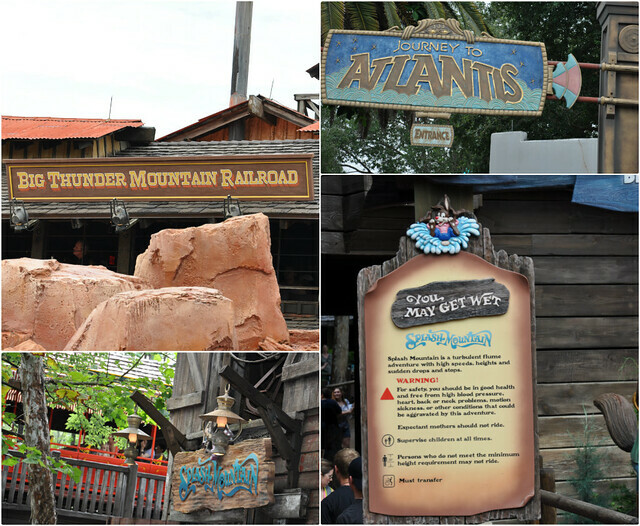 @SewPetiteGal Many of the most popular rides at Disney World/Land have minimum height requirements. I suggest you wait until your children are tall enough to make it worthwhile. omg, look at her in her nikes. too cute! $1000 for tickets? i'm going to faint. Wow, just read your post and thought - I can't imagine being pregnant, the rain, the heat, but then saw the last photo and know that making your little girl that happy is all that mattered! Now that I have a baby I understand, but before then I would have not :) Hope your feeling well and relaxing this week. I probably won't need the advice in this post for years to come but I read every word this weekend with the biggest grin on my face! Despite all the "hardships" you faced with weather, growing belly, and the ridiculously jacked prices of Disney tickets now...the last picture of little C really does make it all worth it! Wow I can't believe u went to Disneyland, I'm sure u made ur little girl very happy! I remember going a few years back and I wore heels. Lol, big mistake! After I got home, I ended getting tendinitis. It was terrible and I was in crutches for a few days. Tickets cost r insane these days. It's really outrageous! Amazing tips! Looks like I have to do a lot more planning. I'm planning our family's trip to Disney for November, the week before Thanksgiving. I found that I had a Pin Offer code from Disney that saved me 12% on my hotel, tickets and Disney dining = a $600 savings! I didn't know Disney offer pin codes, so next time you go, call Disney before booking anything. 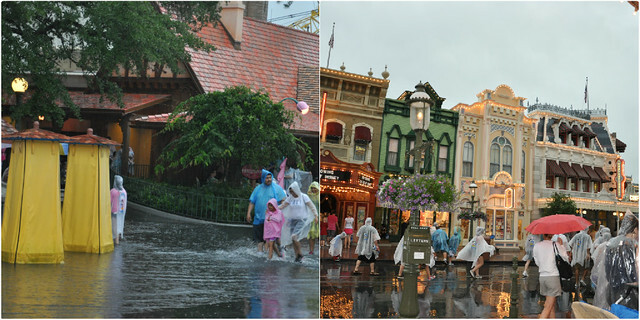 I remember visiting Disney as a kid, and it rained all the time. But I remember I had a terrific time. Glad you and your family can spend some quality time together your baby arrives!